Call Flue Steam for thorough, professional exhaust duct cleaning in Fullerton CA. Are you worried about greasy buildup from cooking accumulating in your ducts and creating a fire hazard? 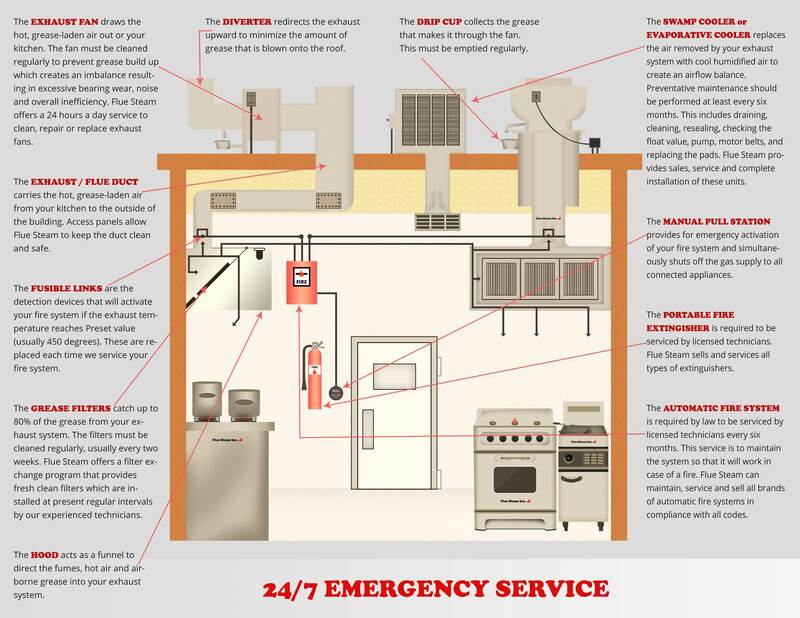 This situation could cause odor and comfort problems in your kitchen too. Instead of worrying about the situation, take action by calling Flue Steam for professional exhaust duct cleaning in Fullerton CA. Our highly trained and certified crews have been serving local businesses for over 40 years, and we can help you too. By combining the two types of exhaust duct cleaning in Fullerton CA that we offer at Flue Steam, you can achieve the clean you need in the most cost-effective manner possible. Hand Scraping: The best way to protect the areas where grease builds up the fastest is to get frequent, targeted hand scraping. 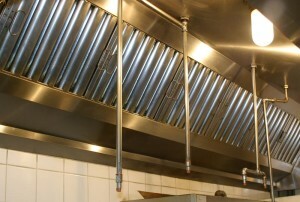 Our techs are skilled in fast and thorough hand scraping to remove grease from exhaust hoods over kitchen appliances. Many companies that provide exhaust duct cleaning in Fullerton CA expect you to take their word for it when they say the ducts are dirty enough to require a cleaning as well as when they say the cleaning is complete. At Flue Steam, we can measure grease buildup before and after service using an IKECA comb, to show you exactly how much grease your system had accumulated and how much we removed. Using this tool, we can help tailor the frequency of your cleanings to the specific needs of your commercial kitchen. Are you ready to start trusting real pros with your exhaust duct cleaning in Fullerton CA? All you have to do is call or click. We’ll make sure you get your service at a time that’s convenient for you.